The company’s strong performance in the mystery travelling element meant that the judges had little hesitation in naming Reading Buses as the Gold Award winner in the Top Shire Operator category for the third year in a row. 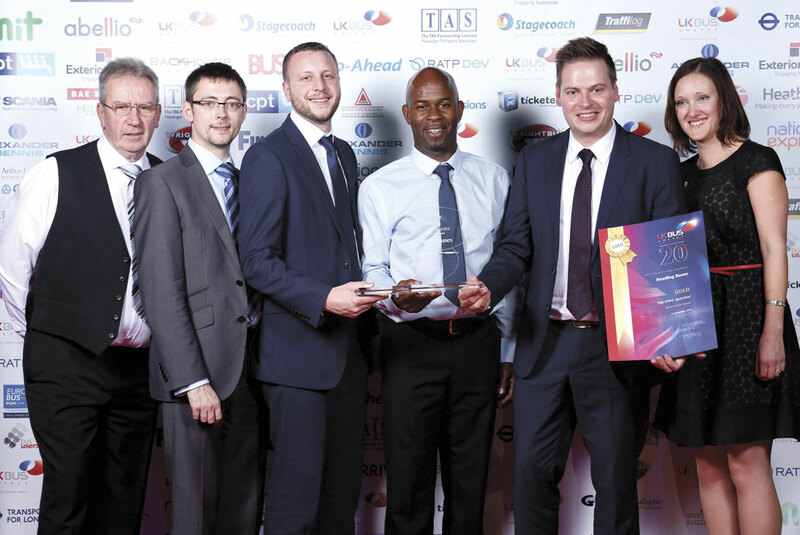 Reading Buses took home five 2015 trophies in total, adding Gold Awards in both the Marketing Excellence and Marketing Initiative contests and a Bronze Award in the Environment category to their Operator of the Year awards. 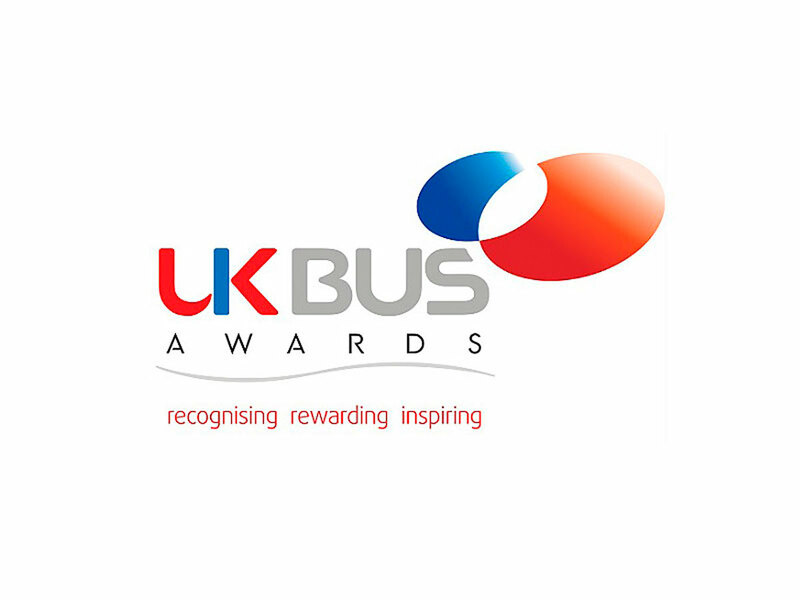 Brighton & Hove Bus and Coach Company took the Gold Award for Top City Operator and Guildford based Safeguard Coaches was named Top Independent Operator. To mark the 20th year of the UK Bus Awards, a 20th Anniversary Special award was made to Ray Stenning, Director of Best Impressions, for his immense and pioneering contribution to design in the bus industry. Ray is responsible for bus liveries on services such as trentbarton’s Rainbow 4 and Reading Buses Jet Black and a huge range of award winning marketing campaigns for bus operators up and down the country. He has long advised and urged the industry towards a positive and empowering style of communicating with staff and the outside world. The award for Services to the Industry went to Dr William Wright, founder of the Ballymena-based Wrightbus manufacturer renowned not least for building the New Routemaster and Streetlite micro hybrid bus. William began his career working in his father’s shed behind their house at Warden Street in Ballymena in the 1940s. Now in his late 80s, he still turns up for work every day in his beloved electric car. The Go-Ahead Group topped the major groups by winning ten awards in total, three Gold, three Silver and four Bronze. 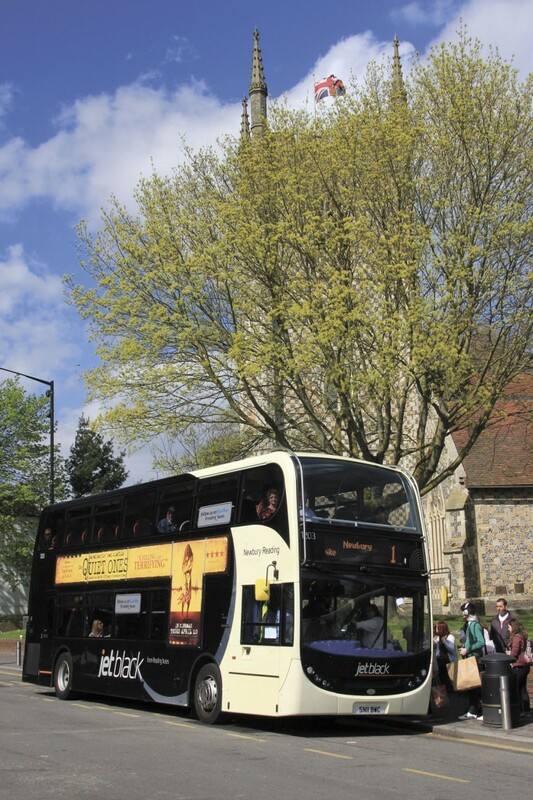 Go-Ahead’s Brighton & Hove subsidiary struck Gold in the Putting Passengers First category for its ‘Accessible travel for our city’ entry as well its Top City Operator award. Meanwhile, the Metrobus subsidiary took Gold in the Making Buses A Better Choice category with its ‘Upgrade to the Fastway service’ entry. Stagecoach followed by winning seven awards, two Gold, four Silver and one Bronze. Stagecoach North East’s Sunderland depot hit Gold by winning the Top National Depot award and Stagecoach South’s Martin Gibbon, who runs the company’s Winchester and Andover depots, won the Young Manager of the Year category. Arriva was in close pursuit, winning six awards, one Gold, one Silver and four Bronze. Arriva Yorkshire’s Anthony Lowe, Engineering Manager at the company’s Castleford Depot won Gold in the Engineer of the Year award. FirstGroup won two Bronze Awards for First Manchester’s ‘The Greater Manchester Young Person’s mTicket’ entry in the Marketing Initiative of the Year and Innovation categories. The awards were presented at a lunchtime ceremony on London’s South Bank before an audience of over 600. It was hosted by BBC News Presenter Jane Hill and guest of honour Jeff Halliwell, who took over as Chair of passenger and road user watchdog, Transport Focus, in February this year. Full results and pictures will appear in next week’s issue.